The BMO Vancouver Marathon 8KM course is marked every kilometre. 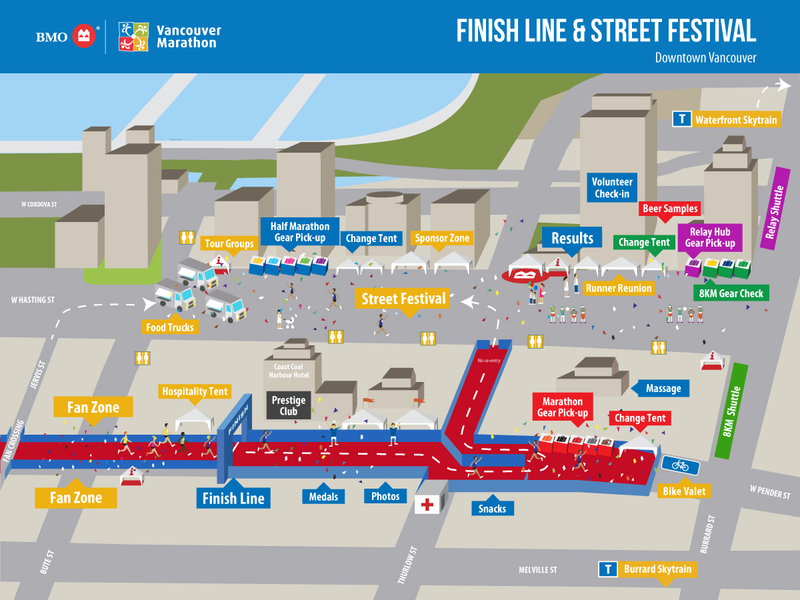 The Finish Line is located on W Pender St between Bute & Thurlow. The Street Festival is located on W Hastings St between Bute & Burrard. Cross Bute St and arrive at the FINISH LINE. Download the turn by turn descriptions here.